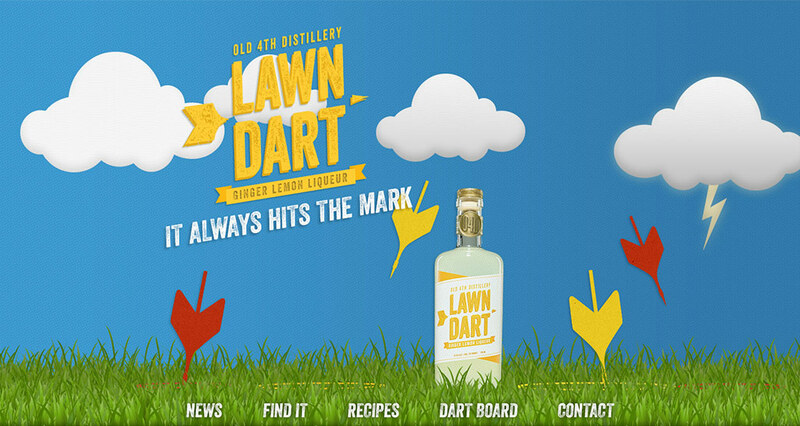 Lawn Dart is a product of Old Fourth Distillery. Since AirTight Design already designed and developed that site, we were asked to do the same for a microsite to promote their new product. The name for their ginger lemon liqueur came from the now-illegal outdoor game “Jarts” that dates back to the 1980s. 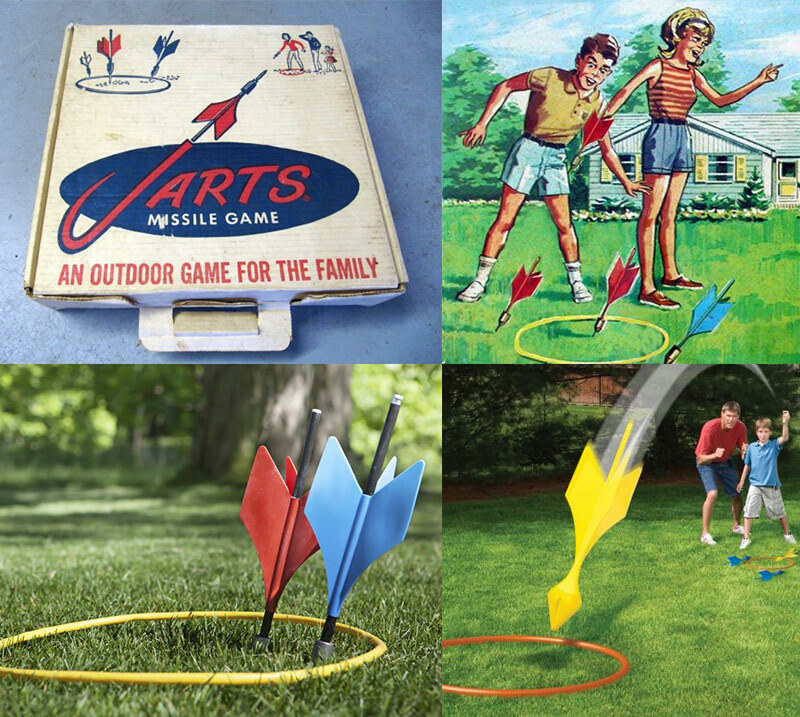 If you’ve ever played it, you know that it’s “a little bit dangerous and a whole lot of fun”, words echoed by the staff at O4D to describe Lawn Dart. We were tasked to design a site that captured that spirit, and we had a lot of fun in doing just that. 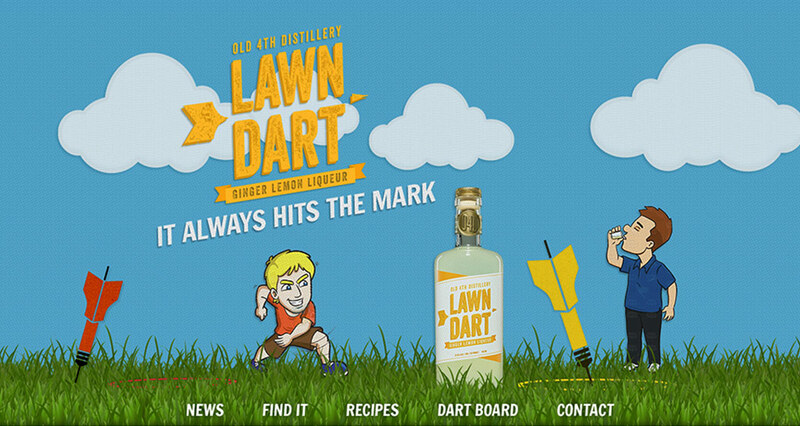 Initially, the design included a pair of guys, one throwing a lawn dart while the other sips on his Lawn Dart. Ultimately the client chose a different approach by substituting the men for a flickering lighting bolt. My proposed tagline of “It Always Hits The Mark” was also replaced with “Dangerously Drinkable”. Our development team had a good time getting the darts to animate in and land inside the targets. 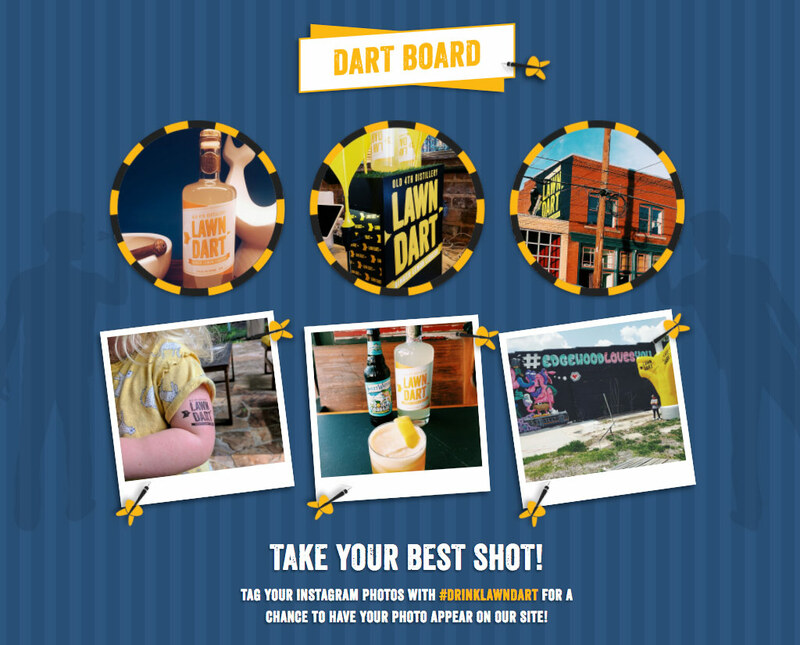 One of my favorite sections of the site is the Dart Board, a fun way to present Instagram photos tagged with #DrinkLawnDart.